In my experience, one of the questions regularly posed by organizations and teams is “How do I get customers to engage in reference activities?” And it is a very valid one that begs to be answered, in full, by anyone considering a deeper dive into a customer evidence program. Indeed, for those in sales and marketing responsible for getting customer references, it’s a question that doesn’t ever really go away. And, with no simple answer to solve this predicament forever, it’s no surprise that collecting customer references becomes an ongoing challenge. Why is this? Because each customer is different, your organization is different and everyone has different and often conflicting incentives and priorities. The approach taken varies because each customer is different and each organization is different. However, from my experience working with organizations creating amazing customer evidence there are best practices you can follow to reach your customers and get their buy-in to your own evidence program. 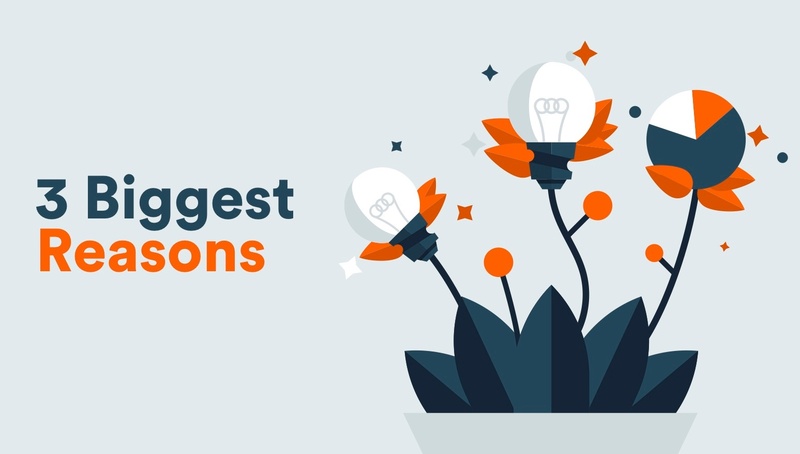 I hope the following recommendations are the start to customer relationships that quickly transform into true partnerships - for you and your organization. If the main goal of customer evidence is to bring authenticity and credibility to a brand and its benefits, what do you do when customers refuse to put their name to a testimonial? Maybe their industry is set up in a way that disclosing their technology stack, setup or partnerships would expose them to risk. Or maybe it’s internal policy. 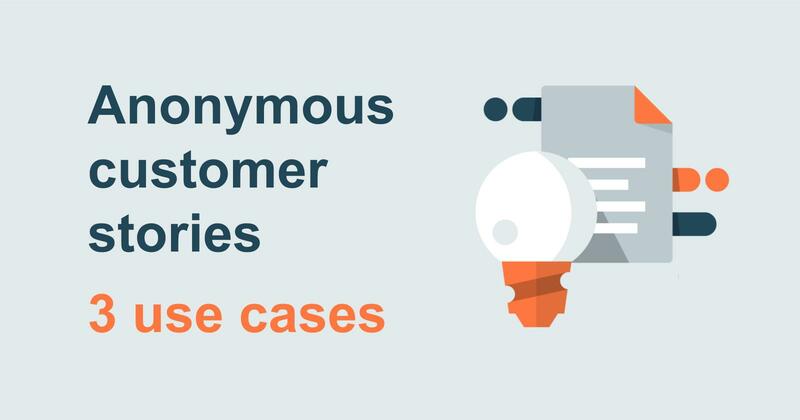 Either way, creating customer evidence can become a difficult task when customers ask to remain anonymous. Well, worry not - we have a number of suggestions to help you find a solution that will benefit all parties. 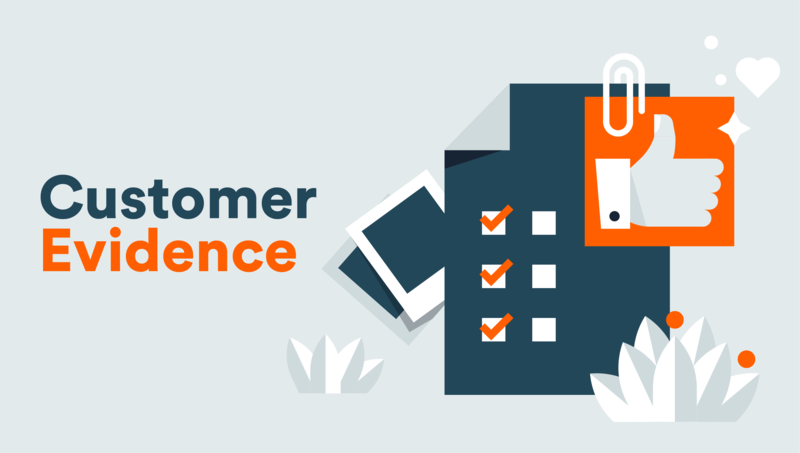 Maybe you’ve heard of customer evidence programs, where a business shares the story of a satisfied customer with an emphasis on their perspective and success that also shows the effectiveness its own solutions? 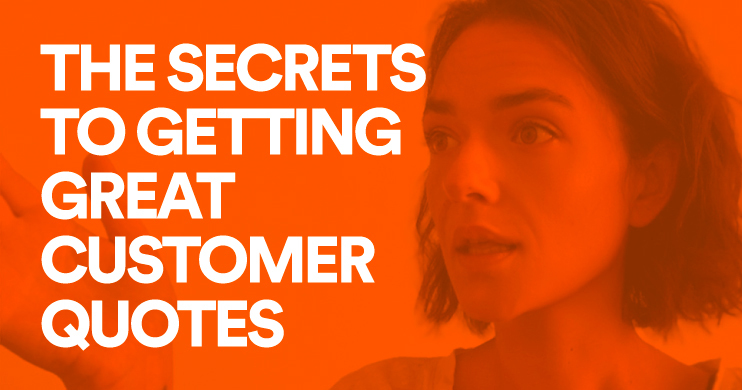 You may have heard about customer evidence; stories told from the perspective of satisfied customer that talk about how your solution helped them overcome a challenge they were facing. 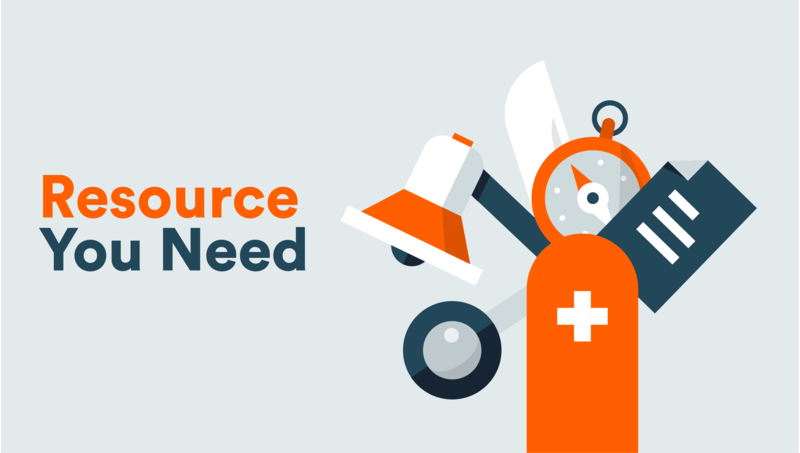 But what you may not know is how these stories can be beneficial to many different departments within your business - making the time and effort necessary to create them well worth it. Customer evidence programs are gaining popularity in industries and markets around the world with their ability to demonstrate the value of products and solutions. However, for brands to get the most out of these assets, it is important that they are in the right format for the audience and situation. 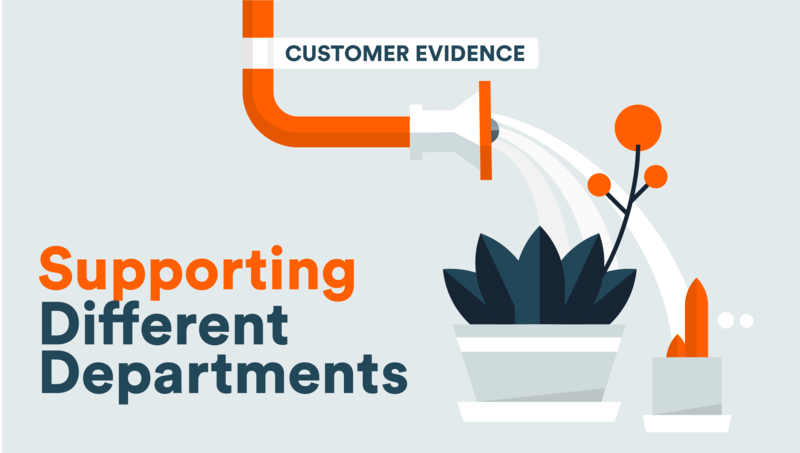 We outline three situations below where customer evidence can be useful and a few ideas for how it can be used. Today, the most important person selling your product or service is no longer you—it’s your customer. This means it’s all about customer engagement and how it can be beneficial for you, your customer, and your prospects. 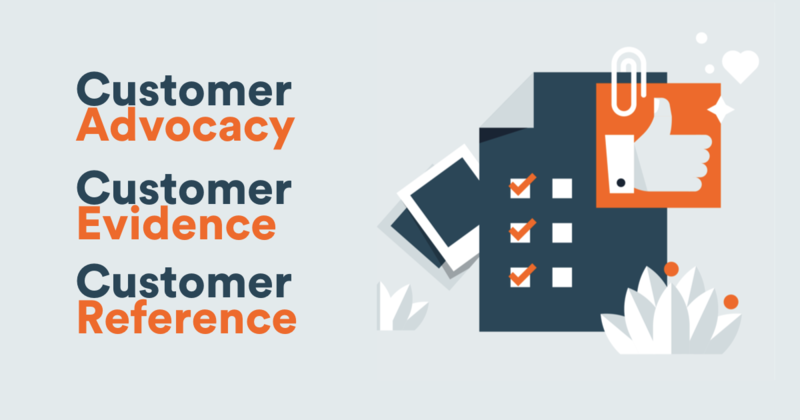 It is important to keep in mind that though the names Customer Advocacy, Customer Evidence and Customer Reference may sound similar, they are different terms - which we will cover in more depth next. The game has changed when it comes effective marketing for B2B businesses. It’s no longer enough to make branded content that speaks about your solution and its benefits, now, to be truly effective, businesses need content that speaks from experience. Your customer’s experience. The journey from prospect to satisfied customer has evolved. There used to be greater need for salespeople to get involved earlier in the process in a more consultative and educational purpose. Now, with the integration of internet in every part of our lives, it’s no surprise that buying has changed too. And when it comes to marketing and selling and the volume of content (branded and otherwise) on the internet, brands need to find new ways to stand out.